This week I am excited for Sherwood by Meagan Spooner! Let me tell you, I am a sucker for fairy tale retellings. I don't know why but I love them. 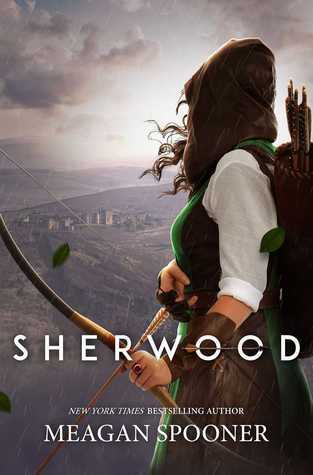 Robin Hood doesn't get enough attention in the retellings department, and this looks like a really cool take on it. As far as I can tell, it basically takes place after the known story ends. I only have a basic understanding of the story, so hopefully I'll be okay going in. I've also never heard much about Maid Marian, so I'm excited to see her stand up for herself and take on the role of Robin Hood. Adding to the already interesting premise, the cover is a real eye-grabber. I see the cover and I immediately want to know the story that goes along with it!